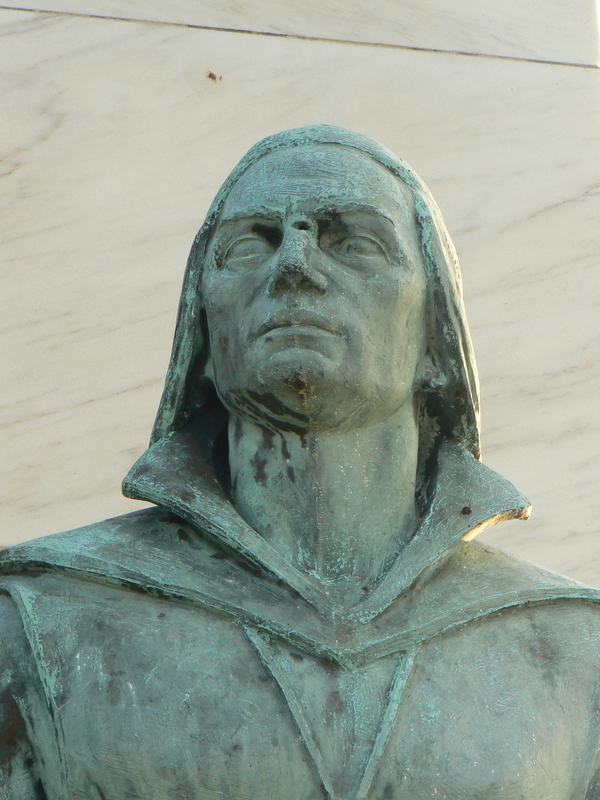 A statue of explorer Christopher Columbus in Bridgeport’s Seaside Park has stared into Long Island Sound for nearly 45 years. 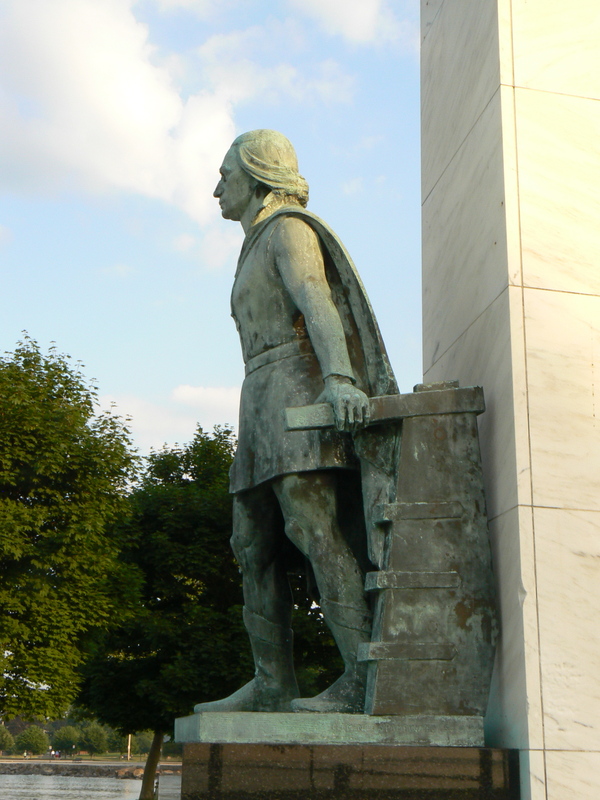 The statue, by sculptor Clemente Spampinato, depicts Columbus, with a map in one hand, standing at the bow of a ship. The statue stands on a black base, with a larger white pillar behind it. The statue also appears to have suffered some vandalism during its tenure in the park, with a hole that looks like it was caused by a bullet between the explorer’s eyes. 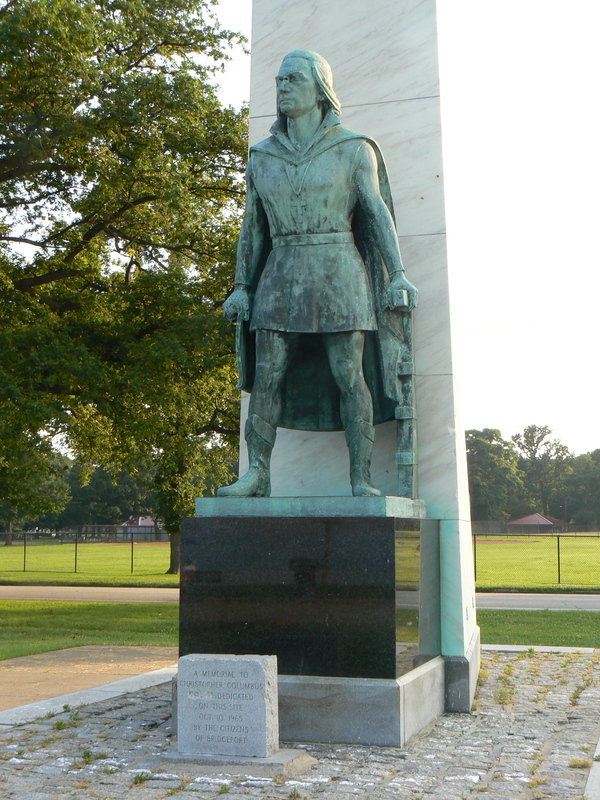 A granite stone mounted in front of the statue lists the dedication date on Columbus Day in 1965. The inscription has undergone some inelegant editing since, with one or two words being chiseled off the stone.